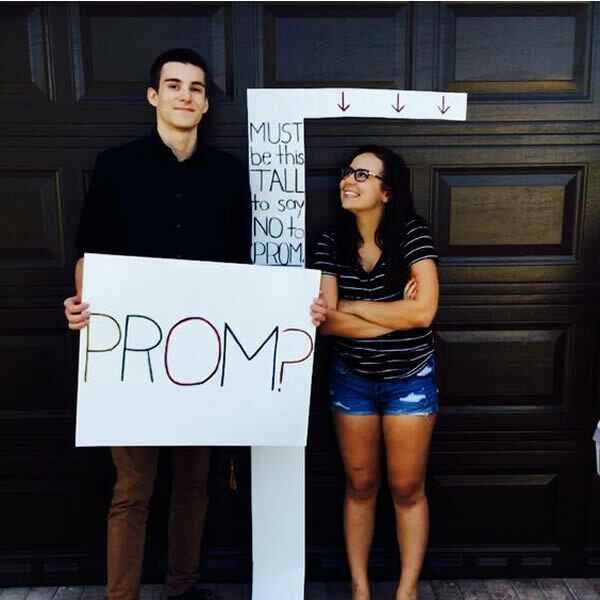 This teenage's cheesy "promposal" sure is a heartwarming story. 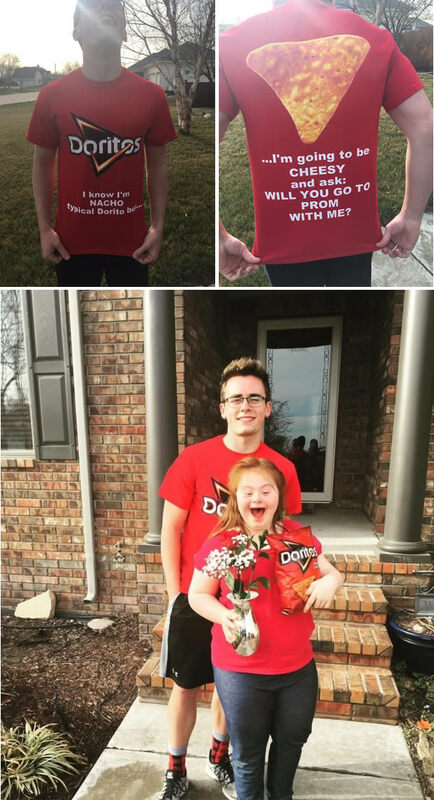 High school senior Shaedon Wedel asked his best friend's sister, Carlie Wittman, to the prom using her favorite snack. "I know I'm NACHO typical Dorito but ...," says Wedel's T-shirt in the front, and continues in the back "I'm going to be CHEESY and ask: WILL YOU GO TO THE PROM WITH ME?" Wittman, 15, who has Down Syndrome, was thrilled. "Ever since I've known her, she's loved Doritos," Wedel said to KWCH, "I didn't do it for the publicity and stuff, I did it to make her happy. She deserves a lot. Knowing her for seven years now, she's brought nothing but joy to my life. Anyone who's ever around her, she makes them laugh, she always has a smile on her face. She's amazing." 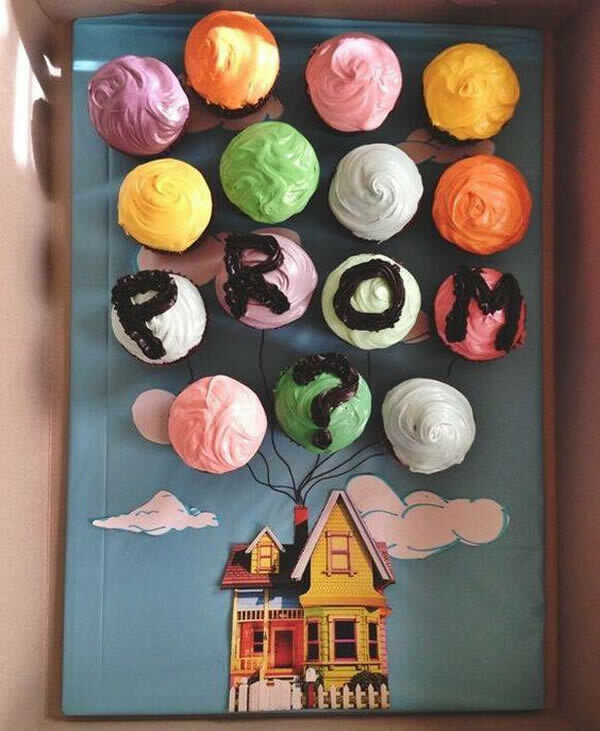 Lots of high school kids pop the prom question in elaborate, over-the-top ways. Reddit user LegalizeOtt had a creative plan that was far more mellow. He posted this photo of the epic idea last week with the caption "Wish me luck." 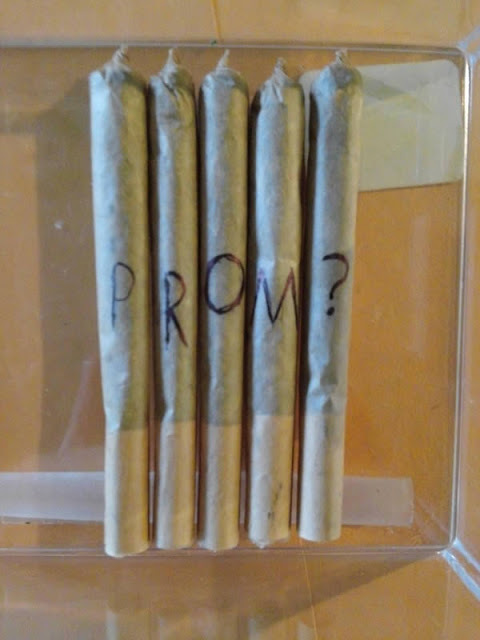 She said yes, so the happy couple took the only logical next step: They found a great view and promptly smoked 1.5 of the joints. There are high hopes for prom night, too. "For the dance itself me and my friend planned to get an half oz to smoke before the dance, and my date is probably bringing some tree too so we'll be really high," LegalizeOtt told The Daily Dot. The Reddit user did not return BuzzFeed News' request for comment. It's a 4/20 love story for the ages. 4. That's the good thing about dating a shortie! She can't say no. 6. 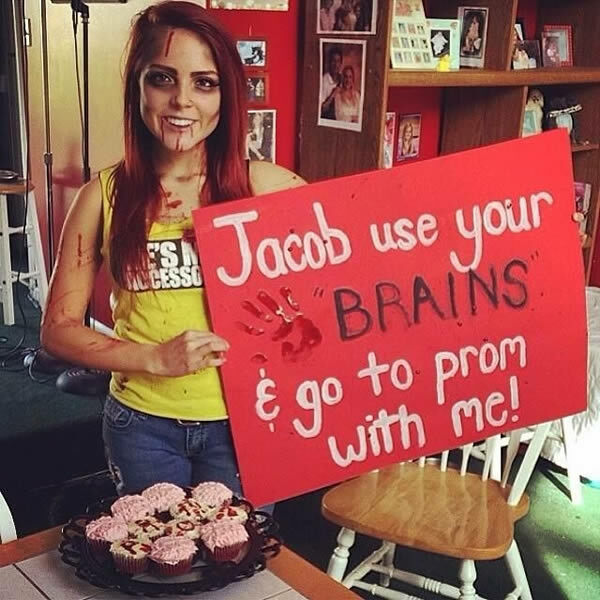 When girls ask guys to the prom, they go zombie. 7. Promposal! P is for Prince Charming. R is for Running Jokes. O is for Opposites Attract. M is for Musical Couple. 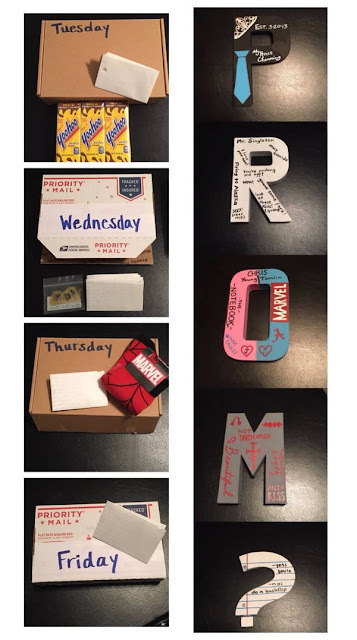 Four days before the scavenger hunt (to find the PROM letters), he will get a sweet note and a gift about the four topics the letters are based on. 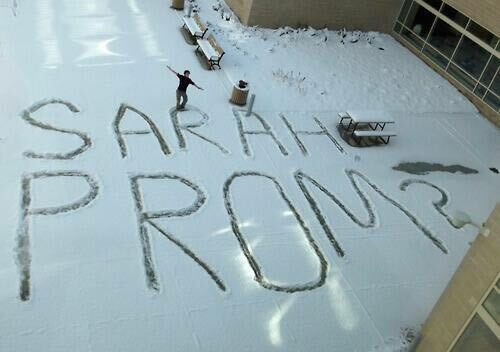 At the end of the scavenger hunt, he will find her with the question mark! 9. 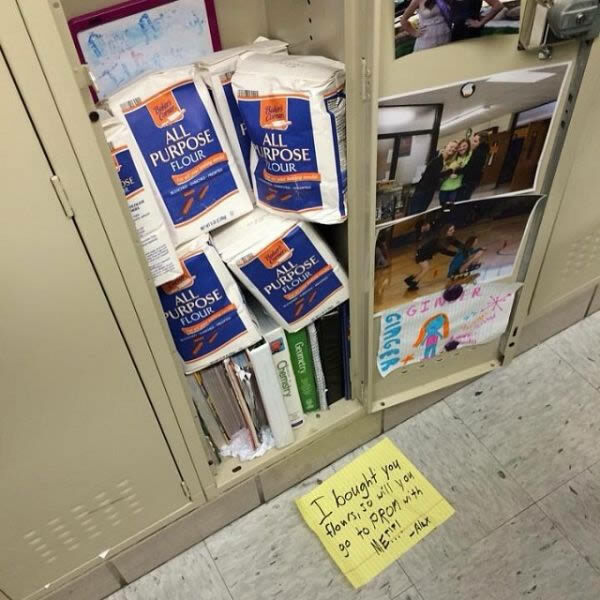 This is the best Post It prank a girl could get. 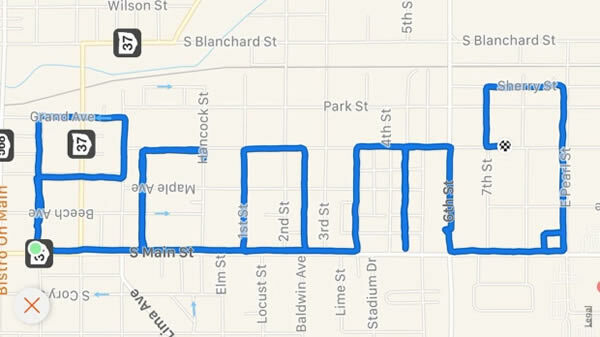 The running enthusiast used technology as a super cute way to ask for her hand… in prom. Forget the traditional corsage, this couple took the active route to romantic bliss. Joran Fuller, an American teen, ran five and a half miles across the city up and down the streets in a special way. Hearts across Twitter melted when Claire Short shared the screengrab of his romantic exercise regime. Prom is a big deal in America, as any high-school-based drama would tell you. And prom proposals have recently been going viral. Two years ago Daniel Pena asked girlfriend Alex to prom using signs by the road. 0 Response to "10 Coolest Promposals"